Your Gift to Support Education Can Change a Life. No matter how you choose to give, whether it be through volunteering time as a mentor, making a contribution to support student scholarships, or including the TBCC Foundation as a planned gift in your estate plan, you are helping to sustain the overall health and vibrancy of the Tillamook community by providing for an outstanding education for current and future students. The Foundation’s purpose is to engage the entire community and increase the level of philanthropic support for student scholarships and the growth, innovation and overall fiscal strength of Tillamook Bay Community College. To increase awareness and the level of financial resources available to Tillamook Bay Community College to provide quality education and bridges of opportunity in serving students and the diverse educational needs of the college and community. We value our donors and prospective donors and their confidence that philanthropy is a transformative power and their assurance that their contributions are essential in our student’s success and the academic excellence of Tillamook Bay Community College. If you would like to make a gift using your credit card you can click the button below to make a gift using PayPal. You do not need a PayPal account to use the service. If you would like to make your credit card gift over the phone, please contact Karen Grosulak at (503) 842-8222 ext. 1060. Karen will help you make the gift. If you would like to make a gift through a transfer of stock, TBCC Foundation has an account with Edward R. Jones in Tillamook to process stock transactions. If you are interested in transferring stock, please contact us for further information at 503-842-8222 ext. 1025 or heidiluquette@tillamookbaycc.edu. Is the TBCC Foundation a 501c3 non-profit? 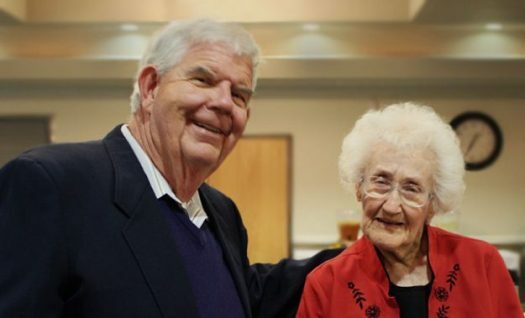 An Endowed gift is a contribution given with charitable intent to the Tillamook Bay Community College Foundation to provide perpetual income from earnings on the gift to support students and programs at the College. The principal is never spent. Endowments are invested and managed by the Foundation to maintain the purchasing power of the gift. The purpose for the endowment must be consistent with the educational philosophy and mission of the College and the TBCC Foundation. Endowments may be used for a variety of donor specified purposes such as scholarships, funds for excellence, child care grants, endowed chairs, or program grants. Besides the act of giving, endowments may be provided for a variety of reasons including paying tribute to a loved one, honoring a special occasion, or supporting a special program or interest. A 1% fee on the full market value of the endowment will be assessed each year at distribution. Endowments established prior to July 2017 will not be assessed the annual fee. What is an Annual Named Scholarship? An annual named scholarship or program fund may be established in the name of a person, organization or program with a minimum donation of $1,000. The funds may be one-time, or renewed annually. Criteria for awarding the scholarship or program funds will be determined by mutual agreement of the donor and the Executive Director and require board approval. In order for the funds to provide maximum benefit, donors will be encouraged to establish scholarship criteria in broad terms. In no circumstances may the donor designate a specific individual to receive the funds. Can I make a donation with my credit card? Yes! You can make a donation using your credit card. You can make it online through our website to benefit the TBCC general scholarship endowment fund or you can contact us at 503-842-8222 ext. 1025. Yes! Gifts of stock are a great way to make a donation to the TBCC Foundation. We have an account with Edward R. Jones in Tillamook to process stock transactions. If you are interested in transferring stock, please contact us for further information at 503-842-8222 ext. 1025 or heidiluquette@tillamookbaycc.edu. The Foundation will convert gifts of stocks, bonds, or other marketable securities to cash in a timely manner unless the Board determines that they should be retained as part of the Foundation’s portfolio. The proceeds will be deposited in the Foundation’s unrestricted account or the account designated by the donor. Donated securities will be recorded at their fair market value on the date of the gift. Any gain or loss resulting from the sale of securities or other assets, as well as the commissions, brokerage fees and other costs of the sale, shall be the responsibility of the Foundation fund benefiting from the contributed assets. A fee of 5% is charged on all gifts at the time of the donation with the exception of annual named scholarships. All other gifts are charged the administrative fee including restricted and unrestricted gifts, endowed scholarship funds, or an endowed program fund. The administrative fee on gifts provides the Foundation with resources to ensure our accountability to donors. This accountability includes a commitment to provide timely gift receipts, accurate records and accounting of funds, an annual independent review or audit of our financial statements and processes, and efficient disbursement of gift funds to students and programs at the College. In order to assure budgetary and financial stability, the Foundation Finance committee reviews the gift fee on a regular basis to determine if adjustments are needed. In addition to the gift fee, a 1% fee on the full market value of endowment funds will be assessed each year at distribution. Endowments established prior to July 2017 will not be assessed the annual fee. By contributing to the TBCC endowed scholarship fund you are supported a student as they strive to achieve the dream of a higher education. Each and every gift can make a difference. To make a gift online today to the TBCC Endowed Scholarship Fund, click the button below. Leaving a gift to the TBCC Foundation through you estate plan is a wonderful way to leave a legacy that supports education. If you have a special interest in supporting faculty, a specific academic field or you would like to establish an endowed scholarship in memory or honor of someone important to you, please let us know. We would love to help you plan your gift. 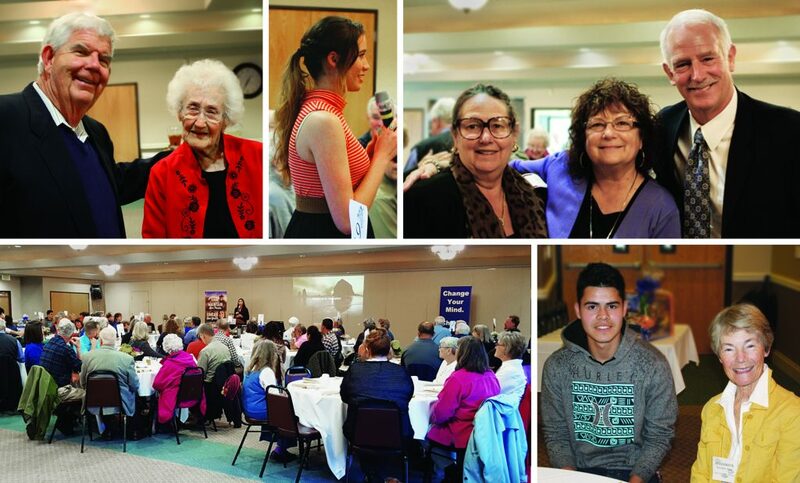 Each October, Tillamook Bay Community College Foundation holds the Annual Mildred Davy Memorial Scholarship and Recognition Luncheon. The event recognizes the students at Tillamook Bay Community College who received Foundation scholarships for the scholarship year. Tillamook Bay Community College Foundation and the American Association of University Women have a partnership to dedicate trees on the TBCC Campus in support of the TBCC AAUW Endowed Scholarship Fund. 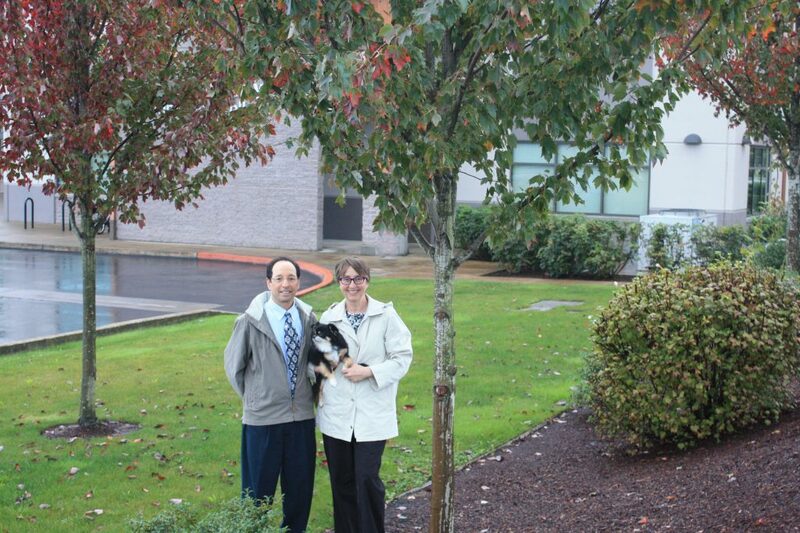 For more information about dedicating a tree at the TBCC Campus, contact the AAUW fundraising committee through Marilyn Reynolds at 503-842-8667.